Saudi Arabia's attorney general says at least $100bn (£76bn) has been misused through systemic corruption and embezzlement in recent decades. "The evidence for this wrongdoing is very strong," Sheikh Mojeb said. Sheikh Saud al-Mojeb said investigations by the newly-formed supreme anti-corruption committee, which is headed by 32-year-old Crown Prince Mohammed Bin Salman, were "progressing very quickly". "The potential scale of corrupt practices which have been uncovered is very large," the attorney general said. "Based on our investigations over the past three years, we estimate that at least $100bn has been misused through systematic corruption and embezzlement over several decades." Sheikh Mojeb said the committee had a clear legal mandate to move on to the next phase of its investigation and that it had suspended the bank accounts of "persons of interest" on Tuesday. "There has been a great deal of speculation around the world regarding the identities of the individuals concerned and the details of the charges against them," he added. "In order to ensure that the individuals continue to enjoy the full legal rights afforded to them under Saudi law, we will not be revealing any more personal details at this time." So far, so good, as far as the crown prince and his supporters are concerned. "Phase One", as the attorney-general calls it, is complete. Around 200 leading royal and business figures have been "called in for questioning" and there has been no visible resistance, no disaffected army hammering at the palace gates, no calls to arms on social media. Quite the opposite, in fact. Saudi Arabia's overwhelmingly young population has largely welcomed this clean-out of the kingdom's notoriously profligate elite. 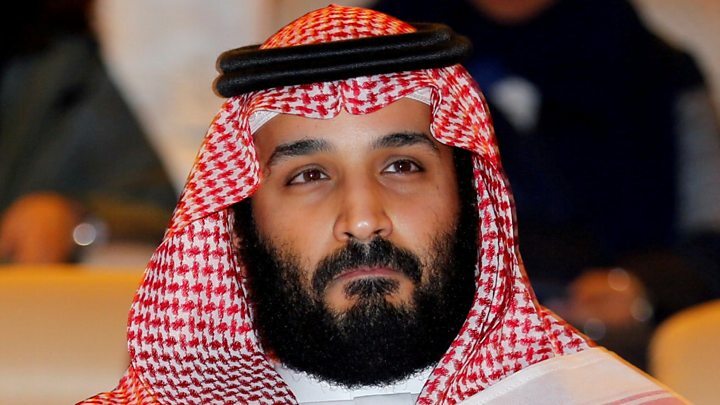 The more hardline Wahhabi religious clerics, still licking their wounds from the crown prince's recent announcement that the country needs to become more tolerant of other religions, will also be welcoming the purge. The questions on everyone's mind though, are how far will it go and who will be next? 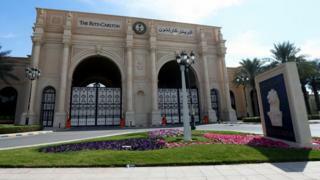 At least some of them are believed to be held at the five-star Ritz-Carlton hotel in Riyadh's diplomatic quarter. Paying guests were asked to vacate their rooms late on Saturday and the hotel's exterior gate has been shuttered since Sunday. On Tuesday, the US said it had urged the Saudi government to handle any prosecutions stemming from the probe in a "fair and transparent" manner. Human Rights Watch meanwhile called on Saudi officials to "immediately reveal the legal and evidentiary basis for each person's detention and make certain that each person detained can exercise their due process rights".